In a battle between punk rock versus rockabilly… Who do you think would win?! Find out this Sunday! 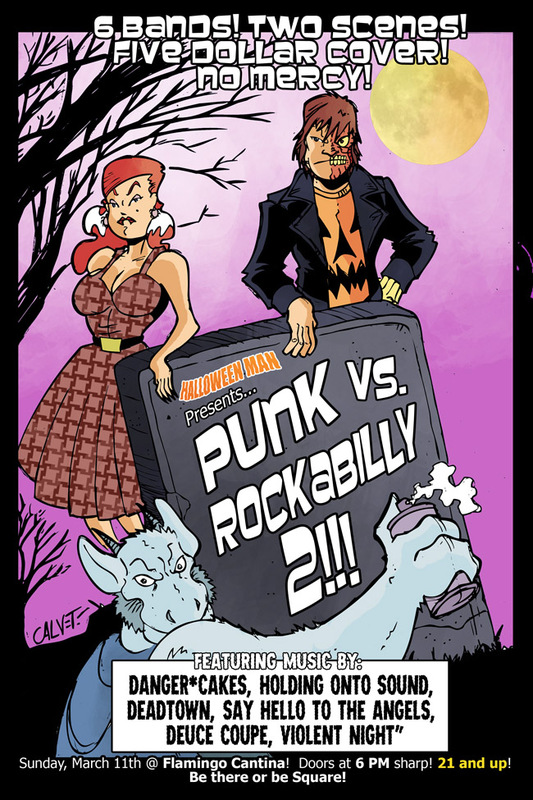 Halloween Man presents Punk vs Rockabilly 2 at the Flamingo Cantina. I’ll be decked out in my rockabilly attire… Battling against my husband, the punk rocker. Trust me… Rockabilly will win! ← And the Million Dollar Question is….